The average factory today is working at just 60% of its potential capacity, that according to a recent CB Insights research brief. Because of this, more and more manufacturers are choosing OEE implementation to improve the efficiency of their production lines. But what many quickly learn, is that the implementation of OEE software without the cultural change that drives it will not ensure the success they seek. Evocon looks at why culture change is such an important factor. A common challenge is that the workforce of many manufacturers finds it hard to change old production methods and switch from legacy systems. Unfortunately, these things stand in the way of a successful OEE implementation. Therefore new processes are needed that engage production operators with their work. One of the best ways to do this is to assign a product champion who paves the way for the actual OEE implementation. This step is essential if you want to build a culture of continuous improvement that is sustainable and long-lasting. The next step is laying the groundwork by involving everyone from the c-suite to the operator so you can start introducing what OEE means and what it entails. While these three metrics often focus on process and machines, they also deal with operator performance and their mindset. Consequently, the cultural change should start with everyone examining old process methodologies in ways that do not put operators and the workforce in a defensive position. It’s natural for operators, managers, and the overall workforce to be resistant to change. The introduction of OEE must be presented as a net gain for them and to the company as a whole. The idea is to tap into operator and workforce knowledge by providing a way for them to give their input and insights. This will pave the way for the eventual OEE software implementation by slowly introducing an analysis and refinement process. The workforce will drive this process instead of a top-down approach relying on mandates. By starting with the knowledge base and ideas from your workforce, manufacturers can avoid many of the cultural change management roadblocks that can happen with implementation. Your workforce has insights about potential changes that can eliminate technical, process, or mechanical bottlenecks and waste. And making them part of the process of discovery gives them a sense of ownership. This is also what kick starts the process of information gathering and factory floor buy-in before even mentioning OEE. • The improvement process through downtime analysis. • The development of an overall activity plan for improvements. • Continual refinement of the activity plan. The created plan is a basis for management/employee meetings that focus on continuous improvements. By creating a culture that encourages standardised feedback from the workforce is one of the most crucial aspects that ensures the long-term success of an OEE project. The reason for this is quite simple – it shifts the company culture to a continuous improvement mindset. The process of cultural change in a manufacturing environment geared to OEE implementation success takes time. And that is why ideally it must start long before the actual implementation phase. But it is important to start somewhere, acknowledging that the timing is never perfect. 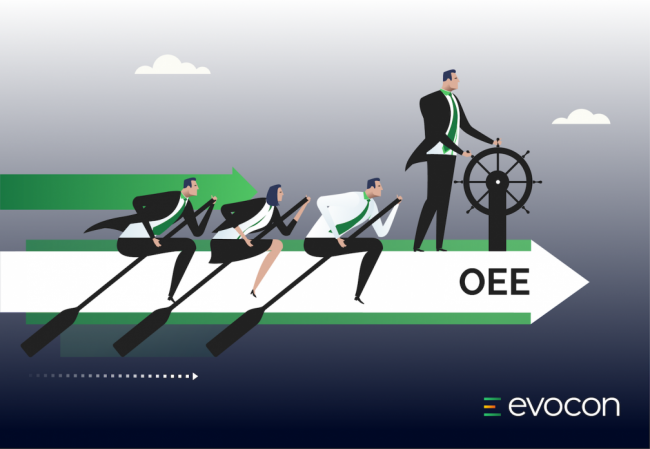 By putting the workforce in the driver’s seat, manufacturers can make OEE implementation a success that leads to operational and bottom-line improvements. And by levering the four concepts outlined in this article you can make the journey much more comfortable and effective.